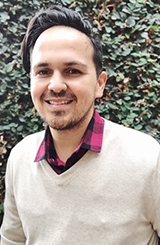 Brian Torres, M.A., proudly joins the Narrative Counseling Center, where he works with individuals, couples, children and groups to improve the quality of their lives and relationships. By exploring alternative ways of thinking that challenge harmful messages from society, Brian helps clients to increase self-awareness and pursue their goals. Brian holds a master’s degree in Clinical Psychology from Antioch University and a master’s degree in Communication Management from the University of Southern California. He previously worked at the Los Angeles LGBT Center, addressing a wide range of issues including anxiety, depression, gender identity, partnerships, self-esteem, sexuality, and trauma. His professional interests include the entertainment industry, highly sensitive persons, and spirituality. Brian works under the supervision of Charley Lang and can be reached at (323) 736-1832 or briantorrestherapy@gmail.com. Myra Stevenson, M.A., is delighted to join her talented colleagues at the Narrative Counseling Center. 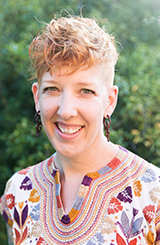 In her practice with individuals, partnerships, families, and groups, Myra is committed to discovering new ways of relating to life’s challenges and engaging freedom from problem stories. Her collaborative style nurtures a safe foundation for creating a life in line with one’s own unique values and preferences. Myra is enthusiastic about welcoming diverse identities and lifestyles that stand outside the dominant culture, and challenging unhelpful beliefs placed upon us by society’s expectations. Her work is informed by her current experience and training at the Los Angeles LGBT Center, as well as her personal interest in the arts, body positivity, gender non-conformity, and alternative lifestyles. Myra works under the supervision of Charley Lang and can be reached at (323) 540-0991 or myrastevensontherapy@gmail.com.